Tucked away in the heart of the Swan Valley on eight dreamy acres, lies WA’s oldest established winery. 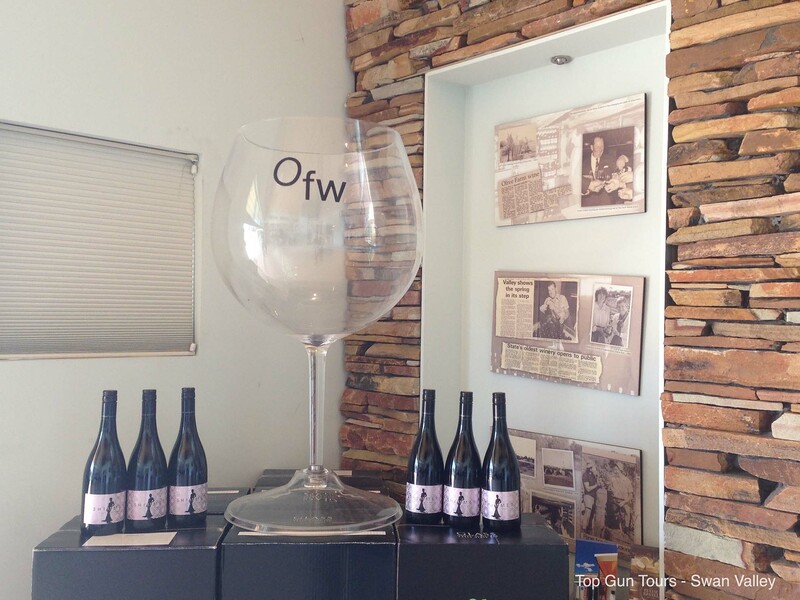 Family owned Olive Farm Wines has been in operation since 1933, where they’ve been making their diverse range of wines, including white, red and fortified wines, as well as methode’ champenoise. In 1829, an English botanist by the name of Thomas Waters came to Australia with a number of plants, including olive trees and grapevine cuttings. He was granted a large portion of land in South Guildford to clear and plant the trees. Hence, the name Olive Farm Wines was born. After many years of growing grapes and producing the estate’s first wines, the property was sold to the Yurisich family in 1933. This hard-working Yugoslav family worked tirelessly for decades to perfect their wines. 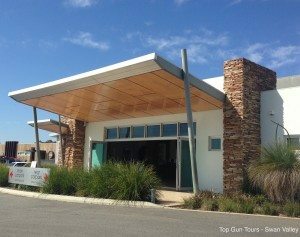 After several years of business growth, they decided to move premises from Guildford to the current estate in the Swan Valley. Over the years, Olive Farm has developed a fine reputation, winning multiple awards. Still the owners of the winery today, the Yurisich family describe the vineyard as their ‘dream winery’ and have taken great pride in continuing the winemaking tradition for generations. One of four children (and son of Judi and Ian), Anthony Yurisich, is the fourth-generation winemaker for this much-loved family business. Anthony grew up on the family winery, which is where his interest in the industry began. After completing an extensive education in agriculture, science and oenology (winemaking) he honed his craft by spending time at both the prestigious Houghton Winery in the Swan Valley as well as a vintage in the infamous Napa Valley in 2005. The design of Olive Farm Winery is worthy of a visit itself. Proving that talent runs right through the family, brother, Michael Yurisich designed the winery, which has won an impressive series of awards. In 2007, Michael’s designs achieved the titles of Winner – Best Commercial Interior, as well as Finalist – Best Commercial Building, Best Industrial Building and Best Public Building. It also won Best Commercial Interior for the Building Designers’ Association of Australia (National) Design Awards 2007. Boasting a stunning 180° viewing area, where lucky visitors can look over the vineyard from inside the cellar sales area, the clever split level building is used for processing the grapes and all production of the wine, while the storage area is downstairs. At Top Gun Tours, we’re delighted to include Olive Farm Wines in our wine tour, where guests can visit the award-winning cellar door and sample the selection of over 25 wines. Of course, you can purchase the wines at the door or if you prefer, buy them online at a later time. 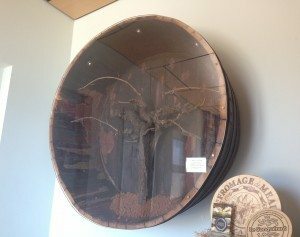 Another fantastic feature of Olive Farm Wines is the cleverly designed, purpose-built Cheese Barrel Café, built again by designer and family member Michael Yurisich. Here, visitors enjoy farmhouse and artisan cheeses, 5 Senses coffee, Parisian pastries and, of course, Olive Farm Wines. 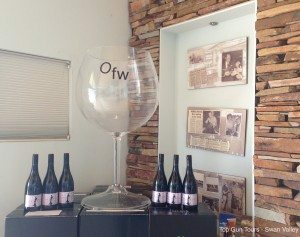 If, like many others, you love the idea of visiting Olive Farm Wines, call us today and join us for our wonderful wine tour of the Swan Valley – we promise you won’t be disappointed!